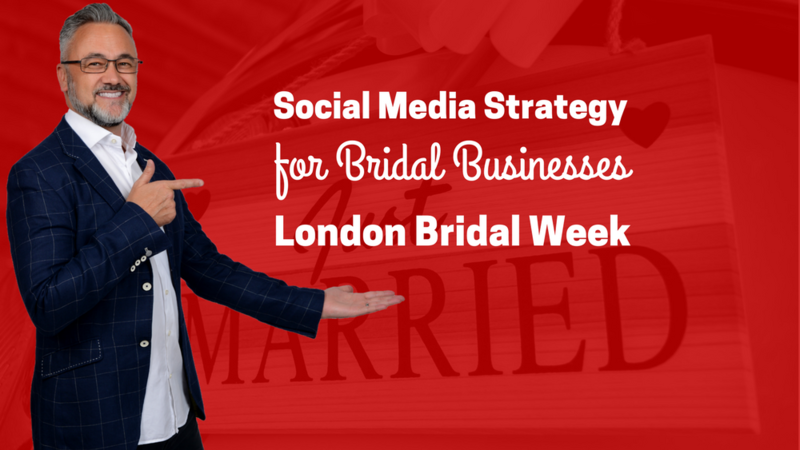 Warren is a keynote speaker at this year’s London Bridal Week taking place at ExCel London from March 25th – 27th. In his keynote “Social Media Strategy for Bridal Businesses” Warren will take you through the 4 simple steps to help you define your bridal business online, understand the 4 types of your digital audience, create shareable content that builds a community and drive sales and how to structure your social media into a 7 day plan for success, with an actionable checklist to help you stay consistent with your brand message. London Bridal Week takes place from 25th to 27th March at London’s ExCel centre. It is set to become the first bridal ‘super-show’ in the UK, bringing collections from the world’s leading designers and manufacturers under one roof. Timed to be the first major event on the international calendar, it is a fusion of large-scale trade fair, fashion show, and educational seminar programme. The Bridal Retail Success Academy is running as part of the event and will support retailers in all aspects of running a successful business. An exceptional seminar programme is planned for 2018, packed with thought-provoking sessions delivered by leading industry professionals.